This is the biggest forum of Pakistan. There shouldn't be any place for such behavior on here! Humanity is the bigger religion. What is this to do with your so-called humanity. 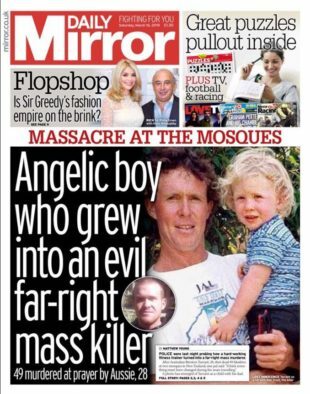 Angelic after 49 murders, includes murdering small children. bcz of some nonsense ..n Petty issues ..
Yup thts the same guy m talking about..
Agree; people want White Supremacists and Islamophobes kicked out of the media and governments in other countries while engaging in same hatred against Jews and Hindus themselves. The sheer audacity of demanding that others stop dehumanizing you while you indulge in dehumanizing behaving of others yourself. What do we think we are? The center of universe that we can demand and not give? There can't be a blanket rule. Jews are torturing Muslims and we should be allowed to at least speak bad of Jews. I guess..ur request worked ..
That is not true at all ..... Religion is above humanity. Otherwise there would have been no punishment to the people who leave Islam, or do blasphemy. Yuo...but religion never teaches u Pain di siri ..
PTI mein bohot musalman hein, magar certified phatwari jo tehra, idhar bho PTI ka randi rona ro rahay ho. Baqi Teray rant say mein agree karta houn. Liberals har jagah moujood hein, teray mian aur zardari nein to ghar damad bana kar rakha tha yahood ko. Magar aadat say jo majboor ho lol. they have an agends that is who or what they can target. They are known for that in Britain. In this instance they have gone with protecting one of their own.